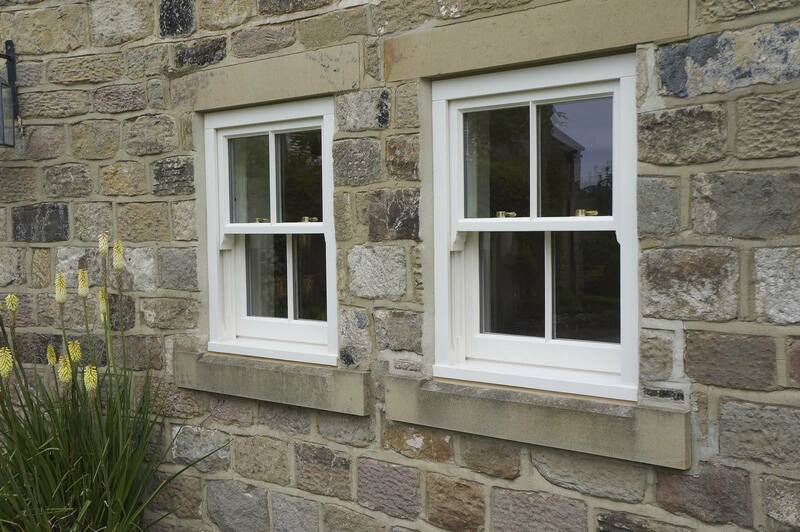 Timber Windows were the more expensive option but we felt the product was so much better than the cheaper alternative we’d seen elsewhere. 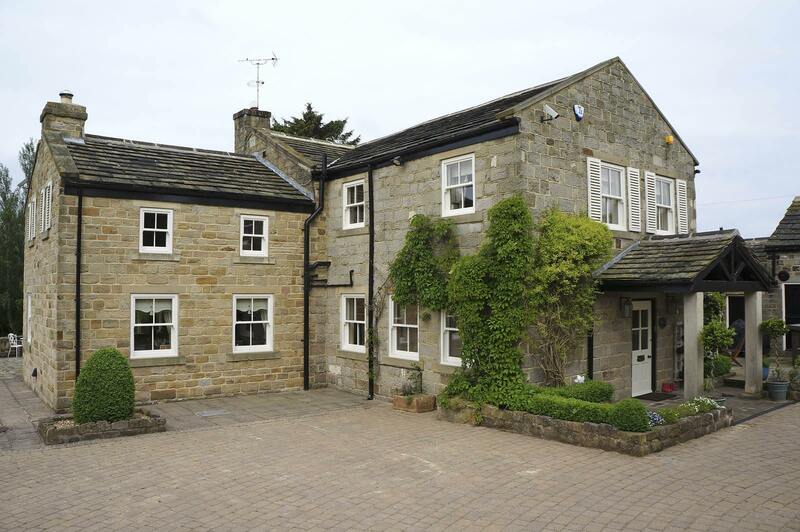 The Irwins live in a sprawling, former farmhouse in a rural area just south of Harrogate, North Yorkshire. Since its days for agricultural use, the house has undergone seven subsequent extensions to make it the five bedroom property it is today. 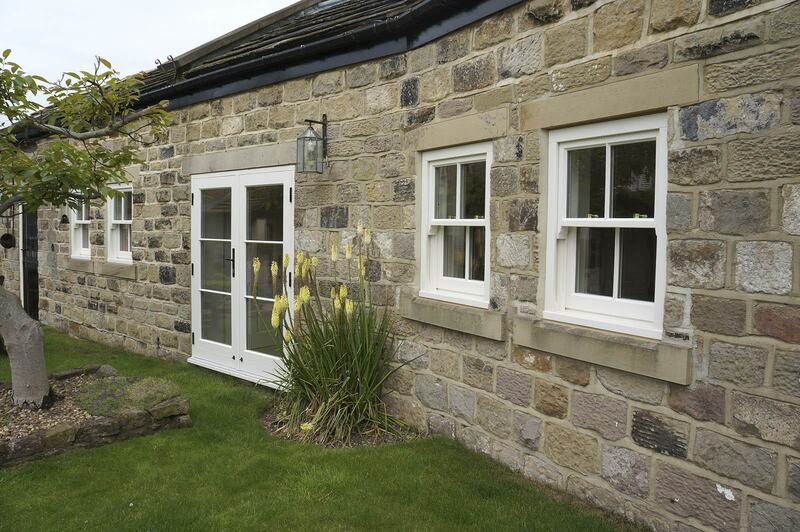 “We had two quotes for the windows and doors we were replacing; Timber Windows’ were the more expensive of those but we felt the product was so much better than the cheaper alternative we’d seen elsewhere. The physical example of a cross section was good and the approach was generally more professional,” explains Mr Irwin. A total of thirty six Hidden Spring sash windows and one set of French doors were replaced, all of them in a Cream finish externally, whilst closely matched to the Farrow & Ball colour “Pointing” internally, finished with an authentic ovolo mould, single 18mm vertical astragal bar and brass hardware. 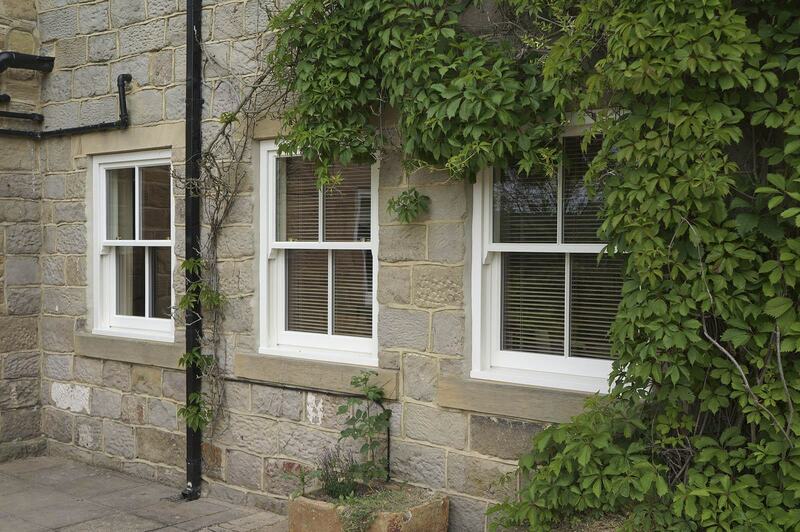 The Hidden Spring sash window from Timber Windows is the only completely concealed system available in the UK, entirely traditional in its appearance, the clever mechanism is fully hidden so you’d never know that it’s not working on a typical cord and weight system. Its operation is smooth and light with spiral balances providing the force and back up behind the scenes.